With December on our doorstep, thoughts of Christmas celebrations come to mind, so we thought that we could remind businesses on what the tax angle is for the cost of sharing the festive spirit with their employees and their clients/customers. Most genuine Christmas parties for staff and customers will not be income tax deductible, nor will you be able to claim back the GST credits. 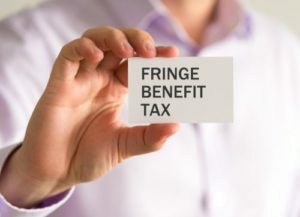 The aim is to try to avoid Fringe Benefits Tax (FBT) on the value provided to employees by fitting into one of the exemption categories. It is well recognised that the entertainment of our customers is a genuine business expense and contributes to ongoing healthy relationships with the people and businesses that buy our products. So, spending a part of your promotion budget on client entertainment is generally money well spent and legitimately incurred in the earning of your income. Under normal tax rules, expenses incurred in earning your income are considered tax deductible. However, since 1995, even though recognised as a genuine expense, if you have spent money entertaining customers, then you can generally kiss the tax deduction goodbye! The Government, at the time, introduced legislation to specifically exclude entertainment as a tax-deductible expense with only a few minor exceptions. 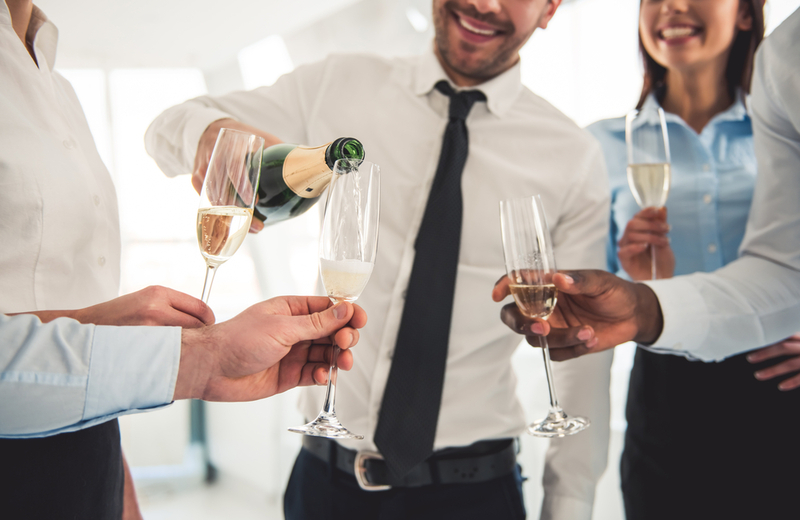 The rules for entertaining employees and their partners have changed a few times since the introduction of the legislation in 1995. Currently, the rules state that generally, providing entertainment to employees and/or their associates, is a fringe benefit and as such, is tax deductible for Income Tax and GST purposes. On the surface, being tax deductible sounds great, but the catch out is fringe benefits tax. As mentioned in an earlier article, the FBT rate currently stands at 47%. So getting an income tax deduction at a marginal rate of somewhere between 27.5% and 39% and then paying FBT at 47% is not so palatable. One of the exceptions that allows entertainment to be deductible is if the food or drink provided is only light refreshments provided as part of a larger business promotional function or seminar/conference. To fit this exception, the cost of the refreshments needs to be minor in the context of the cost of the overall event. So, this does open the door a little for businesses to hold a training/product information function for their clients and potentially claim some of the costs of entertaining the attendees. But, strict conditions apply and there are no black and white rules. One of the main exceptions for employees’ entertainment is to try to get the expenses to fall under an FBT exemption. If successful, this means that no FBT is payable. Unfortunately, it also means, that usually the income tax deductibility and GST claims disappear too. 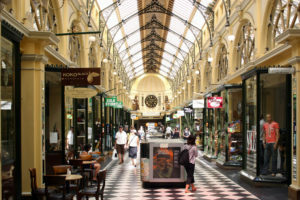 The main exemptions are for meals and drinks provided to employees on the business premises, and also entertainment that is minor, infrequent and irregular (costing less than $300 per employee). We highly recommend that you talk to your tax adviser before planning your Christmas event. If you would like to talk to one of our specialist tax advisers about your entertainment deductibility, please call us, Potts & Schnelle, on Ph 02 60332233. This month’s article is a retake on some questions I raised this time last year. If you used them at last year’s Christmas festivities, chances are you haven’t been invited back this year! But, I think they are important, so here we go again, although a little light-heartedly. Hopefully, you can have a giggle, but also see the importance of raising the issues. What about financially, who will organise to pay the bills until you get better? If that goes well, try the same questions 1-4 to your brother/sister, parents, spouse, next door neighbour, dog! Do you have any key employees at your business? If you, or the key employee, weren’t able to work for six months, would that cripple your business financially? Unfortunately, our lives are often touched with tragedy and often the outcomes are made worse due to a lack of planning. Christmas is traditionally a happy time to catch up with family and good friends, so talking about death and tragedy is a bit off-side. But, if you don’t take the opportunity to discuss it now, when everyone is together, time can quickly move on and the opportunity lost. In our financial planning business, we help clients with these matters every day. Wills, Power of Attorney, Living Wills (Advanced Directives) and Personal Insurance are important discussion points on our review checklists. Our job is more than just tax and superannuation. Finally, the team at Potts Schnelle would like to wish you all a very happy and joy-filled Christmas and thank you for supporting our business over the past year. 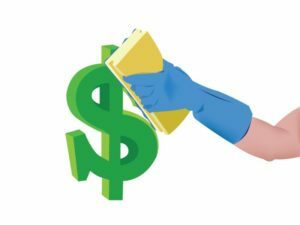 After you’ve finished spring cleaning your house, spend some time tidying up your loans. Try asking your lender if they can give you a better deal on your interest rate. Consider consolidating some of your high interest debts into a longer term loan with a lower interest rate. Try paying a few extra repayments. Consider utilising an offset account. Do you really need a redraw facility or is it just dragging out your loan term by encouraging further spending? Check the return that you’re earning on your savings. Can you get a better rate by switching financial institutions? What about changing the type of account or locking some money away in a term deposit? Are you utilising back accounts that don’t charge fees? Make sure you are setting and tracking your spending. Set realistic saving goals and review your level of spending. Are you getting the best deal on your electricity, telephone and gas? Are you taking steps to minimise your electricity, gas and water usage? What about your insurances? When was the last time you shopped around? Ensure that your insurances provide adequate cover and that you are aware of any shortfalls. Do you have a fixed budget for gifts, including Christmas? What about clothes. Can you wash them or do you have to pay for dry-cleaning? Do the items in your wardrobe mix and match with other items in your wardrobe? Do you take advantage of stock take sales or end of season clearances to pay less for the things you need? Do you use a grocery list or do you impulse buy as you walk up and down the aisles? Do you have multiple super accounts? Consider consolidating your accounts to save fees, but be wary not to mess up your insurance entitlements. Are you invested in the best investment option for your stage of life? If you are a long way away from retirement, then you have time to ride through sharemarket corrections and can afford to be at the growth end of the spectrum. If you are nearer to retirement then maybe you should be being more conservative to protect your capital. Do your super funds have your correct personal details? Have you changed address, phone number or email address? Keep your details up-to-date so your money doesn’t end up in lost super. Make extra contributions and maximise the tax result. The sooner you make some extra contributions to super, the less sacrifices you will need to make in the future and the more financial choices you will have. You can now claim superannuation contributions personally up to specified limits. Making small changes to your everyday spending can help boost your savings throughout the year. Consider making your lunch at home rather than buying it. Borrow books and DVDs from the library. Avoid using your credit card and only pay with cash. Check your bank statements regularly to identify possible errors/scams. Cut down your coffee and/or alcohol intake. Have people over for dinner rather than going out to restaurants. Cut down on your takeaway meals. Utilising these ideas and others will help you progress down the pathway towards financial security. At Potts & Schnelle, we work with our clients to help them secure their future. Give us a call or request an appointment if you would like to chat about your business, your tax, your investments, or your superannuation. 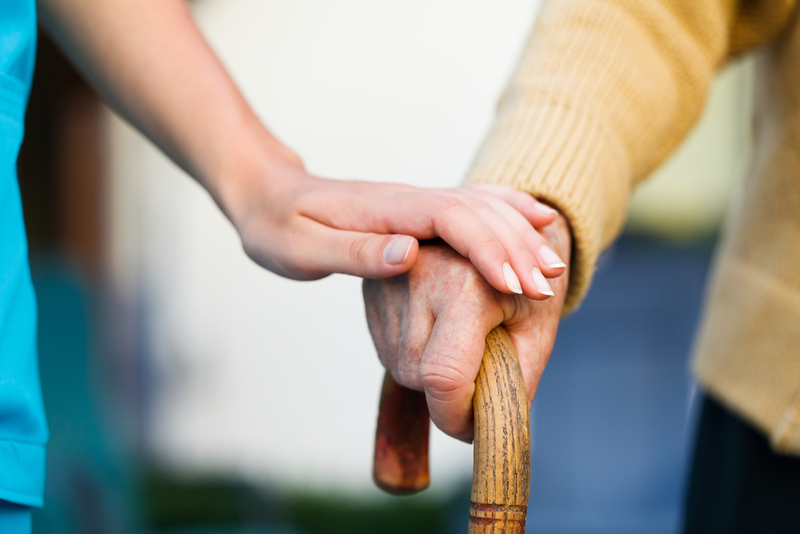 Residential Aged Care – A Daunting Prospect? It can be a daunting prospect moving a loved one into a residential aged care facility and it’s one that we regularly share with clients as that time looms on the horizon. There is the feeling of guilt – Are they ready? Am I being selfish? Should I, could I, keep caring for him/her at home? Which follows to the logistics of where should they go? When? What will we do with the house, the furniture, the dog? Simply understanding the payment options available to them and the implications of each. The financial aspects of aged care are complex and require a solid understanding of how the rules impact on social security and the tax system. 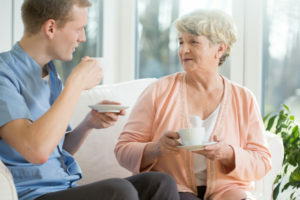 Most clients meet with us after the potential resident has had their health situation assessed by an aged care assessment team (ACAT) and we then help them understand the financial rules. The accommodation payment can be a lump sum payment known as a Refundable Accommodation Deposit (RAD) or Refundable Accommodation Charge (RAC), depending on the value of your assets. Generally, the deposit is limited to a maximum of $550,000 and is fully refundable. Alternatively, if the resident can’t pay the lump sum, then they can pay a daily amount known as a Daily Accommodation Payment (DAP) or Daily Accommodation Charge (DAC). This can be an expensive option for some. This fee is generally paid by all residents and covers the daily living costs including nursing, personal care and meals. The fee is calculated as 85% of the max. single age pension payment. The current rate to 19 September, 2018, is $50.16 per day. The fee is usually paid fortnightly or monthly in advance and is payable even if you are temporarily away from the facility. The Means Tested Fee is assessed on a combined income and assets test. The income test is assessed as 50% of your assessable income over an income free area of $26,764.40 pa (for singles) and $26,244.40 pa (per member of a couple). The assets test is calculated as the sum of 17.5% of assessable assets between $48,500 and $165,271.20; 1.0% of assessable assets between $165,271.20 and $398,813.60 and 2% of assessable assets over $398,813.60. This fee has a lifetime cap of $64,715.36 and once a resident has paid this amount over the years, they will no longer pay a means tested fee for any day, regardless of whether they change aged care facilities. As mentioned, the financial rules are complex and most people only encounter them once or twice in a lifetime. We are performing these calculations on a regular basis and have skill and experience in completing the paperwork required by CentreLink to determine the means tested fee. 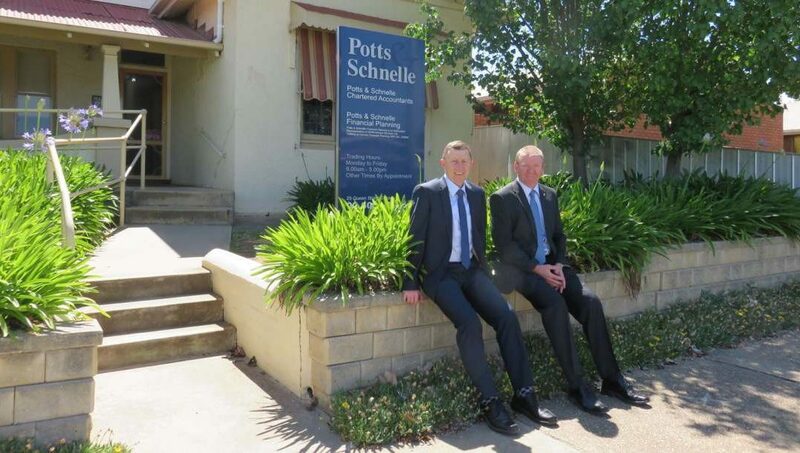 Should you require advice in this area please do not hesitate to contact Potts & Schnelle at 25 Queen Street, Corowa and 75 Main Street, Rutherglen, Ph 02 6033 2233. 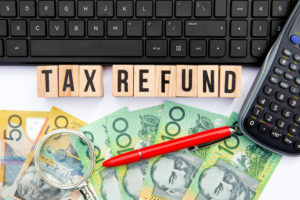 Many of our clients are currently receiving large tax refunds when lodging their 2018 income tax returns because they are claiming personal superannuation contributions. If you earn most of your income from employment, you may want to make personal deductible superannuation contributions instead of, or in addition to, salary sacrifice. Since 1 July 2017, employees have been able to choose to claim personal super contributions as a tax deduction in their own tax return. Like salary sacrifice, personal deductible contributions are generally taxed at 15% on their way into the super fund, which is usually better than paying your marginal income tax rate of up to 47%. To claim a personal super contribution as a tax deduction, there are some very important steps you’ll need to follow. First, you’ll need to submit a valid ‘Notice of Intent’ form with your super fund and receive an acknowledgement back from the fund. You also need to make sure this happens before you complete your tax return, start a pension, or withdraw or rollover the money. Otherwise you may not be eligible to claim a deduction for the full amount you want. Other conditions may also apply. you want to make a concessional contribution using a bonus or another benefit or entitlement already accrued and you haven’t got the right salary sacrifice arrangement in place. you want more control over how much you contribute and when the contributions are made. Alternatively, Salary sacrifice might be a better option if you’re not the most disciplined saver. Importantly, with salary sacrifice, the contributions go straight into super from your pre-tax pay before you get a chance to spend the money. You could even consider using both these options, combining the discipline of salary sacrifice with the flexibility of personal deductible contributions. If you’re thinking about investing more in super, we can help you decide whether making personal deductible contributions is right for you. We can also look at what else you could be doing to help you achieve the retirement lifestyle you want, including options outside the superannuation environment. To discuss your personal situation, call us on 02 6033 2233, mention this article and ask for an appointment with one of our financial advisers for a half hour free analysis. With the financial year end looming, it is an opportune time to reflect on our businesses. The life of a small business owner/manager is very challenging. It is very easy to keep doing things the same way as before. However, for long term survival it is important to sit back from time to time and reassess what we have achieved and where we are headed. How do we grow our sales? What should we be aiming to sell? How do we improve the gross profit on each sale? Where are our customers going to come from? How can we convince customers to buy from us instead of our competitors? How much do we have to sell to make a profit? How much stock should we hold and what type? What is our optimum price where we make the sale but also make an adequate profit? What is our perceived selling difference? Have we got the right number of staff? Have we got the appropriate skills to serve our customers and run the business? How can we attract and retain key people and move on the ones that we don’t want? Are we paying above the market? Is our wages bill too high? How will we keep everyone motivated? Are there any Work Health & Safety risks that aren’t being managed? How strong is our cashflow, can we pay our bills on time now and in the future? Do we need to review our banking arrangements, are we getting the best deal? Are our loans set up the best way for our cashflow and profitability? How can we collect our accounts receivables quicker? Can we negotiate better deals with our suppliers? Are our insurances up-to-date and do we have appropriate cover? Do we make it easy for customers to pay us? Are we, as owners, earning an adequate profit to justify the amount of money we have invested in the business? When will we need to update equipment and what will it cost? Is our location still right or should we be moving to another site? Are our processes efficient or could we be doing things better? What changes are on the horizon? Are we set up to take advantage of new opportunities? Obviously, it’s difficult to address all of these issues and still put out the daily spot fires. Nevertheless, by reflecting on these things, priorities will emerge and changes will happen gradually, helping to secure the longevity of your business. At Potts & Schnelle we are passionate about small business. If you would like to talk to us about any of these issues, please give us a call – 02 6033 2233. With 30 June just around the corner, we’ve come up with these last minute tax saving ideas for individuals. Keeping good records is the best way to make sure you claim every expense you are entitled to. Make sure you’re organised and it’s easy. Spend 5 to 10 minutes per week organising your paperwork and storing the information relevant to your tax return in a safe place. Donations to tax-deductible charities are an easy way to reduce your taxable income. Keep records of the money that you donate and include that on your tax return. This will reduce your income and in turn reduce the tax you pay. Win Win!! 3. Buy some work related uniforms, protected clothing and boots. If protective clothing is required for your work, or if you have an ATO approved or compulsory uniform, then the cost of purchasing these items can be tax deductible. Once you have the clothes, you can claim alterations, embroidery, laundry and dry cleaning too. Keep your receipts! If you are a tradie, then any tools you buy for work purposes can be claimed (outright or depreciated). If you have an office job, then a laptop or IPad might be deductible if you use it for work purposes. Don’t forget ink cartridges, paper, sun protection items, manuals and stationery. 5. Pay up your union dues and professional subscriptions. If you owe money for your union dues or for subscriptions to any work-related organisation that you are a member of, pay up the amount owing before 30 June and claim that on your tax return. Payments up to 12 months in advance are usually deductible in the year of payment. 6. Make tax-deductible contributions to your superannuation fund. If you are under the age of 65, you are allowed to make concessional contributions to your superannuation fund of up to $25,000 pa. This amount includes any contributions that your employer may have made on your behalf, such as the 9.5% SGC. If you have available cash, you can top up your super to the $25,000 concessional cap and claim the amount in your personal tax return. This will reduce your taxable income and reduce your tax payable. Note that any contributions made, must be received by the superannuation fund’s bank account prior to 30 June to make a claim. 7. Review the work usage of your mobile phone. If you use your mobile phone for work purposes, review the percentage of use for work purposes and claim a percentage of your total telephone costs as a tax deduction. The taxation office would expect you to fully examine a month’s telephone bill to determine the work use percentage. Keep this amongst your taxation records. Don’t forget that if you do any work related things at home you can claim for part of the cost of a home office. So, that online training course, filling in time sheets, issuing invoices or writing and proof reading a report, all add up. 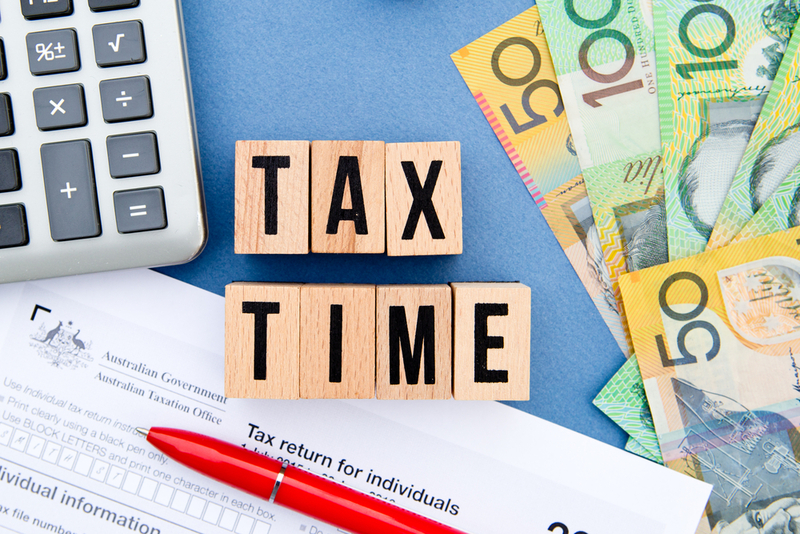 Work out the hours spent and talk to your tax agent about it. Your internet cost may be deductible too. If you have to travel for work purposes, then you can claim for unreimbursed amounts of your motor vehicle costs, accommodation, e-tags, parking, trains, trams, buses and some meal costs. Estimate your kms travelled and keep records of all the rest. If you have made a capital gains throughout the year, consider selling other assets and/or investments which will result in a capital loss. This capital loss can be offset against the capital gain to reduce the tax payable on the gain. Of course, these are all last minute tactics and the information is general in nature. The best way to minimise your tax is to take a longer term view and structure some planning to utilise tax savings to build long term wealth. 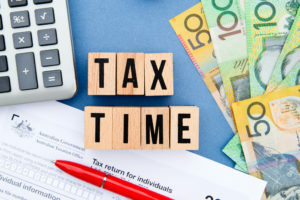 If you would like to discuss your personal circumstances with a taxation professional, call Potts & Schnelle now (02 6033 2233), mention this article, and receive a free initial appointment. Given the demands of everyday life, planning for your retirement and more specifically, building a retirement nest egg, may be a relatively low priority. 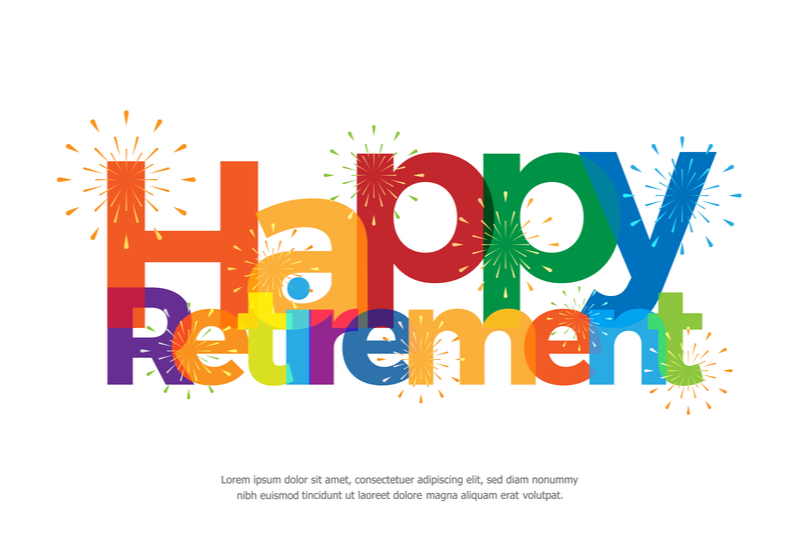 You may think that you still have plenty of time, but before you put off planning for your retirement any longer, here are some key facts you should consider. A male, currently aged 65, has a future life expectancy of 19 years and for females, currently aged 65, it’s 22 years. But these are just the averages, (so half of us should live longer) and they are increasing steadily. 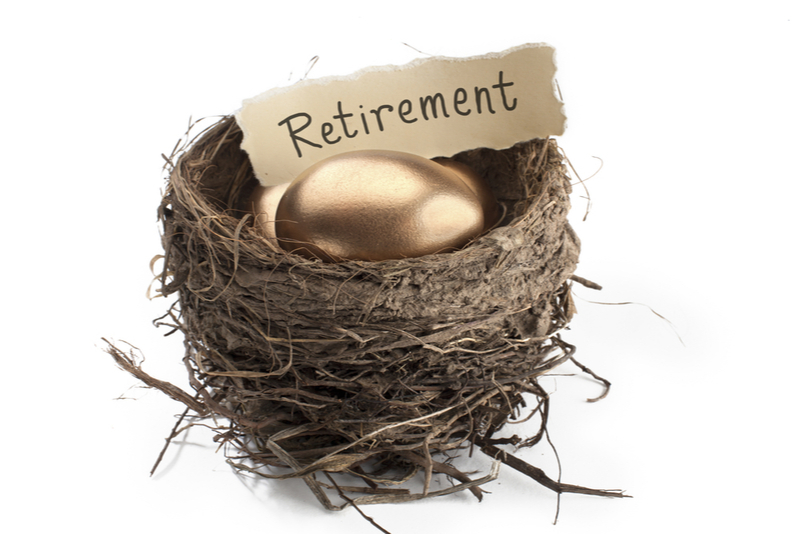 As these trends continue, your retirement could stretch to three decades, or maybe even longer. The full single rate age pension only provides around 25% of average weekly male earnings. That will only give you a very basic existence. What’s more, qualifying for the age pension may become more difficult in the future. Given that our population is ageing, statistically there are more people who are of pension age. With limited government resources, one would imagine that the rules will get tougher and they already have. 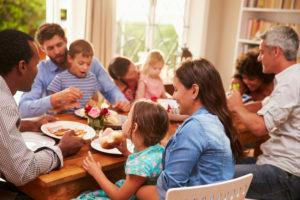 Your parents may end up spending all of their savings and may even need to downsize their home to help make ends meet. We are finding this more and more common as aged care costs continue to climb and as people live longer their wealth is eroding fast. So, if you’re relying on an inheritance to fund your retirement, you could be disappointed. With some of your money going into super through compulsory employer contributions, you’re off to a good start. But if you are assuming that those employer compulsory contributions will mean you will have enough super to get you through your retirement, then you could be in for a nasty surprise. Research conducted by Rice Warner Actuaries revealed that Australia has a shortfall in super of close to $1 trillion.This means that many Australians will not have enough super to fund their retirement. Thankfully, with a bit of preparation, it’s possible to plan for a long and comfortable retirement. Strategies like salary sacrificing into super, making lump sum contributions, spouse contributions, or using a transition to retirement strategy are all smart strategies to consider, to help boost your super. Some of them may have some immediate tax benefits too. Once you reach preservation age (currently 57yo) it’s also possible to use your super to start a pension that pays you a regular income. Some pensions even guarantee to pay you an income for the rest of your life, negating the risk of outliving your savings. If you want to start building your nest egg, or if you want to see if you are on track to having enough for retirement, you should speak to a financial adviser. They can help you set realistic goals and put a plan in place to achieve them. Call Potts & Schnelle now Ph 02 60332233 and make an appointment to discuss your personal situation with one of our financial planners.